They're unique. They're stylish. These reliable, environmentally friendly doors are made from recycled wood. JELD-WEN doors have the rich natural look of wood and the strength of steel. 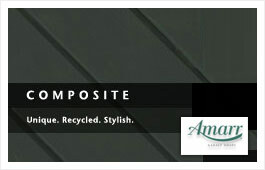 Traditional garage door looks with wood composite construction. Made from recycled wood fibers and environmentally friendly resins, JELD-WEN doors give you the warmth and look of wood, with less maintenance.